Operation 36® is organized by a network of golf professionals who believe to grow the game, we need to have a motivating player development roadmap to help introduce and develop skilled golfers. The challenge we set for our players is the score of 36 (par for 9 holes). By working from green to tee-box versus the traditional tee-box to green it lowers the challenge point, and is a motivating way to learn and progress in the sport. 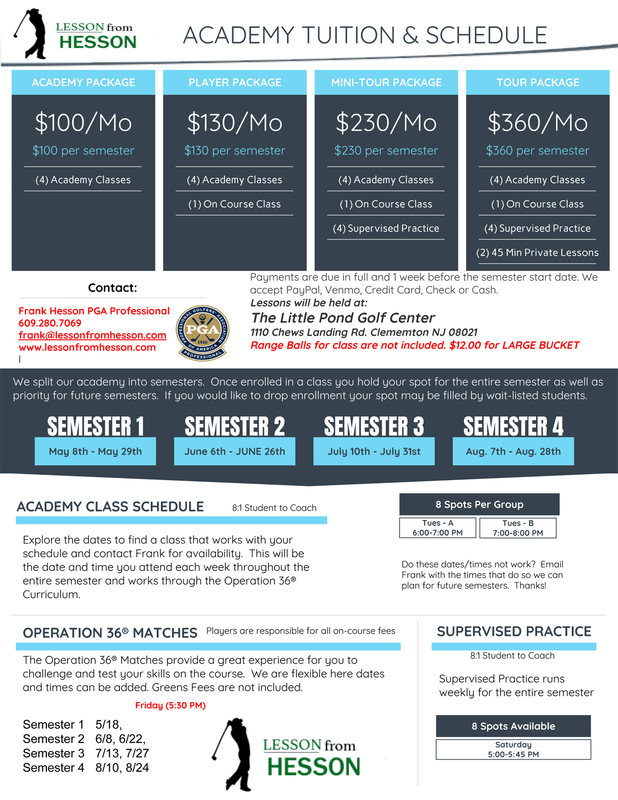 The Op 36 Academy Classes were designed to provide golfers a group coaching environment for you to learn the game, set goals, and develop your skills. Coaches will work through the Operation 36 Curriculum and allow you a chance to test and progress in your rank. 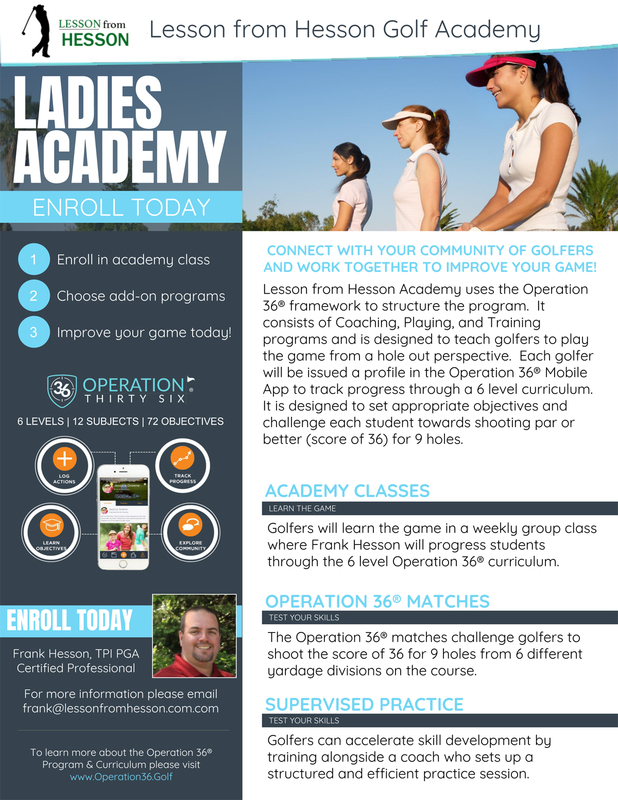 The Operation 36 program has a 6 level standardized curriculum that golfers will progress through each week in the academy class or camps. We call each level a Rank. Within each Rank there are 12 Subjects that categorize the area of learning for the class that day. For each Rank there is 1 objective you must be able to demonstrate to your coach. Complete all 12 Objectives and rank up!